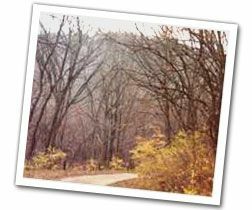 The Village of Godfrey has six beautiful parks for everyone to enjoy. Glazebrook Park, The Godfrey Ball Park, Homer Adams Park, Clifton Terrace Park, LaVista Park and Hoffman Gardens at Great Rivers Park are open to the public from sunrise to sunset. Dogs are allowed in the parks on a leash and must be cleaned up after by their owners. Alcohol is prohibited in the parks. 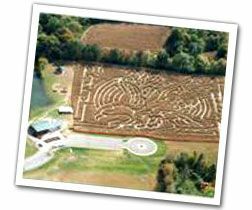 Glazebrook Park is located at 1401 Stamper Lane and is the site of all of the special events, including the Great Godfrey Maze in September and October. 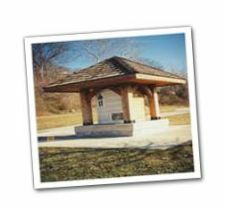 Glazebrook Park measures 120-acres with two ponds, two playgrounds, two concession stands, three restroom facilities, two rentable shelters, a rentable gazebo, four soccer fields and over 3 miles of walking trails. Glazebrook Park is home to many of the memorial trees planted annually through memorial donations. 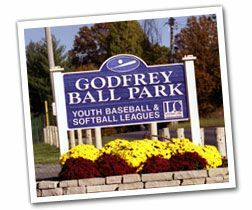 The Godfrey Ball Park is home to seven baseball/softball diamonds and a concession stand with restroom facilities. The Ball Park is located at 908 Stamper Lane. All of the youth baseball and softball programs take place at the Ball Park and the the adjacent fields on the south side of the street in Glazebrook Park. The concession stand is open during games during the months of May and June. 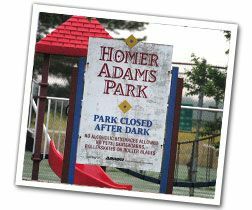 Homer Adams Park is located on the Village Hall campus at 6810 Godfrey Road. This park has three rentable shelters, a restroom facility, playground, and a demonstration garden provided by the University of Illinois Extension Master Gardeners program. 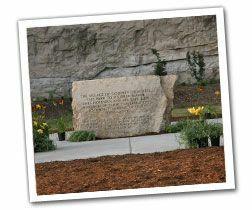 Homer Adams Park is home to the first memorial trees planted annually through memorial donations. LaVista Park is currently Godfrey’s largest park measuring 93-acres. LaVista is located along Route 3 at 2421 West Delmar on the west side of Godfrey. LaVista Park’s mile-long trail received a face lift this year on its lower half with the assistance of a Scenic Byways Grant. LaVista is also home to the Discovery Garden, an all natural community garden run by the Community Cultivators. Great Rivers Park is Godfrey’s newest park and is developing at this point. The first park project, Hoffman Gardens, is currently in the planning and developing stages. The Gardens will be built in honor of the first Mayor of Godfrey and his family.